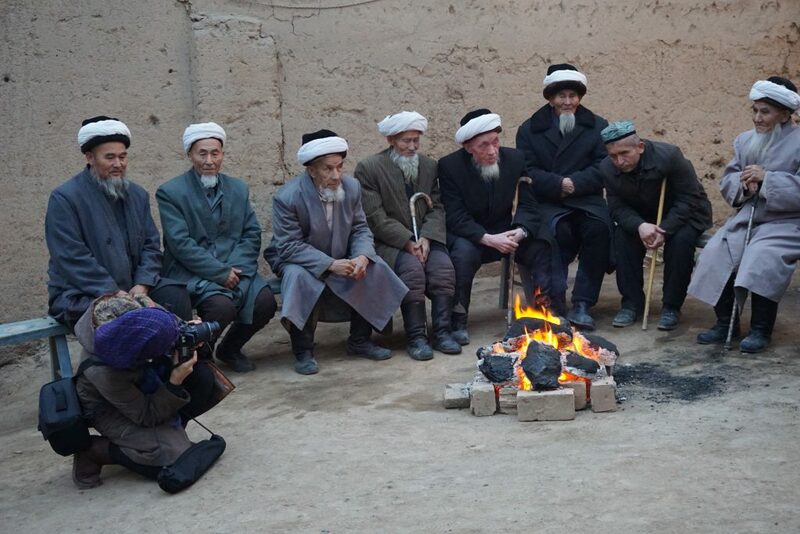 Aynur Kadir documenting a community ritual in Xinjiang, 2015. I am an interdisciplinary scholar, ethnographic filmmaker and doctoral researcher at the Making Culture Lab, Simon Fraser University. 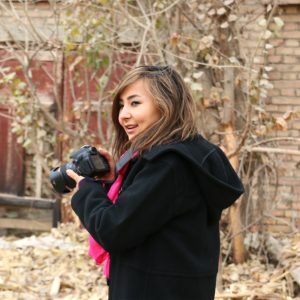 I work with local communities in northwest China, and in the Pacific Northwest to develop digital media that document, manage, safeguard, and represent indigenous cultural heritage. I am exploring how different new medium such as documentaries (both traditional and interactive one), virtual museums, digital archive databases, interactive museum guides and video games could be designed with participatory methodology in order to preserve intangible cultural heritage. I grew up in a traditional Uyghur society close to the Taklamakan desert, which is vital part of the Silk Road, the overland trade route that connected China with Europe through Central Asia. I am always fascinated by the diverse culture of Xinjiang Uyghur Autonomous Region’s various ethnic groups, especially their oral literature and history. Since I got involved in visual anthropology beginning in 2004, I have participated in dozens of documentary projects, a few digital archive projects, and established strong research relationships with community elders, folk artists and the Xinjiang Folklore Research Center. My research is based on a large amount of first-hand multi-sited ethnographic fieldwork data, in which I have traveled all around Xinjiang, spending significant amounts of time at Hotan and Tashkurgan. I have visited and photographed many pilgrimage shrines; I have filmed related rituals and oral traditions along with extensive fieldwork notes. Aynur Kadir participatory filming “place names tour” with Sq’éwlets youth at Qithyil site, 2014. Photo by Reese Muntean. Since 2012, I have become part of MCL and am currently conducting my doctoral research Digital Uyghur Dastan. 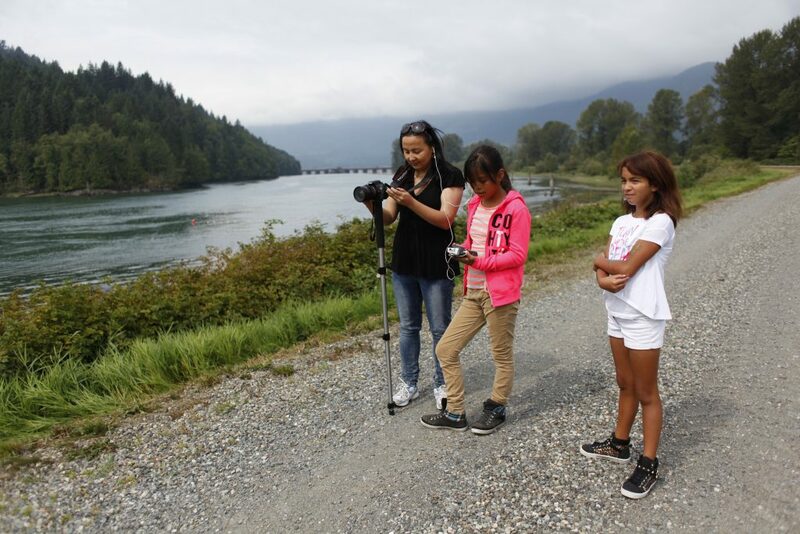 Being part of research projects like The Intellectual Property Issues in Cultural Heritage (IPinCH), Sq’éwlets: A Stó:lo-Coast Salish community in the Fraser River Valley and Ethnographic Terminalia are truly valuable experiences in which I have been learning and understanding the importance of community-based methodology in media production. I am not only continuously working with Xinjiang Folklore research center, but also actively serving for the Society for Visual Anthropology, Intangible Cultural Heritage network committee of Association of Critical Heritage Studies and The Centre for the Comparative Study of Muslim Societies and Cultures of SFU. My research findings have been presented at conferences like SOAS, AAA, SfAA, CEES, AES, ELO, EVA, and ACHS. I enthusiastically look for opportunities to connect the traditional knowledge to current and future generations, through the potentialities of digital technologies.